Thanks to our highly skilled and experienced crew, our vessels successfully accomplish many complex operations. 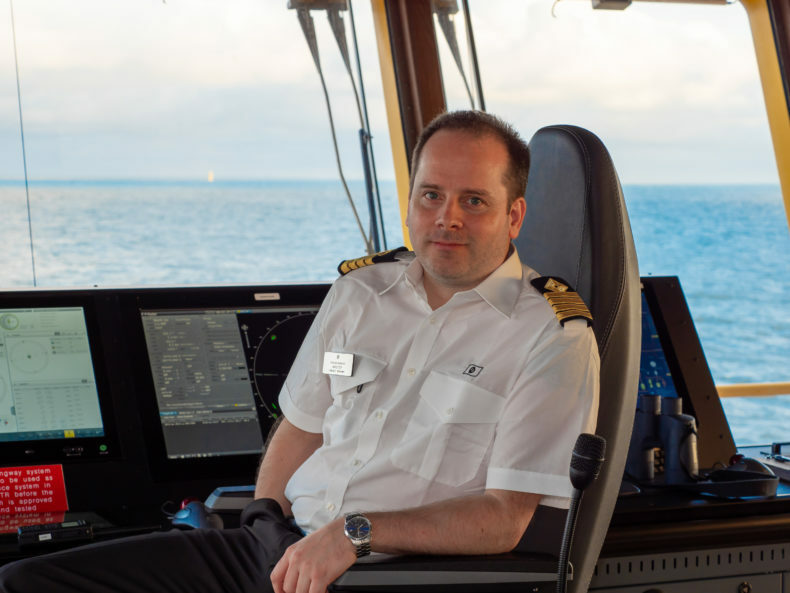 Master on the multi-purpose vessel Edda Fjord, Håvard Melvær, explains how detailed planning of operations sometimes is not possible. – Solutions must be found on site. 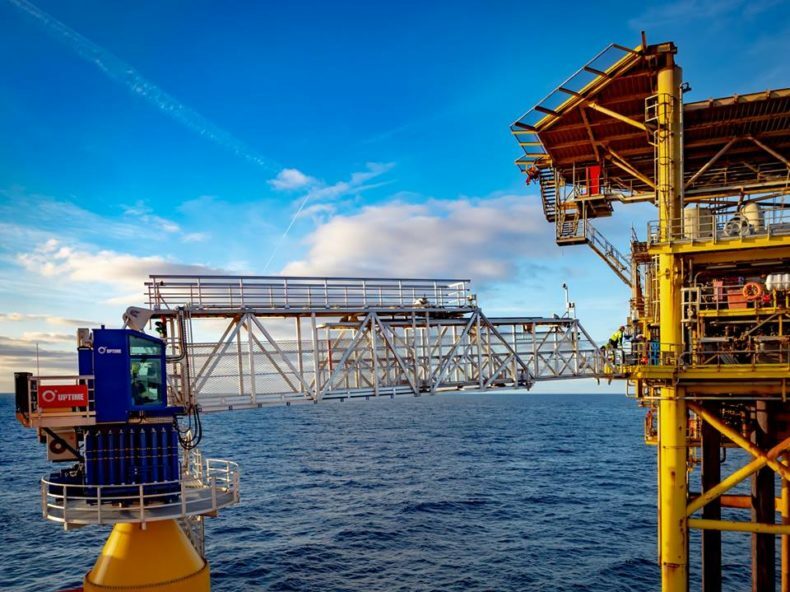 He specifically mentions the operations that Edda Fjord conducted this summer together with the Swedish operator NDE on fields GT1 and Bard in the German sector. The work involved diving, ROV operations, walk-to-work operations, and accommodation. We’re talking about two new fields; however, they’re old in a wind farm context. The installations were five years and maintenance was required. Amongst others, there was no corrosion protection with anodes below the sea surface. The old ones had oxidised. New equipment had to be placed on the seabed next to each platform. A large power supply cable was installed underneath the tower, which rests on three legs below water. The anodes polarising the base had to be positioned perfectly in relation to each other to achieve the desired effect. – We worked at 45m water depth, Melvær says. The dimensions of the new equipment were much larger and more powerful than the previous solutions. 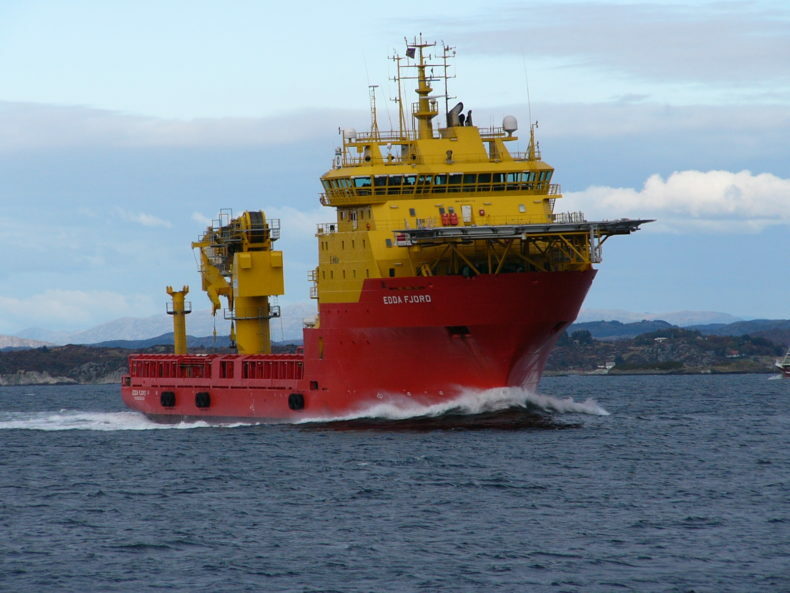 Edda Fjord had carried out an identical operation previously on a platform at the center of the field. – We mounted six anodes around the installation, digging in beneath the legs to connect them, he explains. It was a normal ROV operation, carried out by means of a work ROV and a slightly smaller ROV, and using divers who worked from baskets placed along the platform legs and on the seabed. – The operation went perfectly. We did our work onboard and the ROV operators and professional divers knew precisely what to do subsea. Håvard Melvær also emphasises an operation the vessel carried out on a Danish wind farm: – Earlier this year we followed up a request from Maersk Oil (now Total), which involved moving people from different wind power installations off the Danish coast. Impressed when seeing the vessel lying in dock in Esbjerg, they wondered if by using us they could simplify the maintenance work needed on the ocean floor mounted wind turbines. We gave them a positive answer, knowing perfectly well it meant having to find solutions when we arrived at the field. We could not pre-empt any guarantee ruling out damage to the platform legs, but they trusted us fully, he says, and continues: – We had to maneuver between the unmanned platforms searching for access points for our walkway, looking for an adequately sized H-beam to secure the tip of the walkway. We managed to find a useful connection point for each installation. Then the operators climbed over the fence to enter the ladders to the wind turbines. An unusual operation, but a fairly normal walk-to-work operation, even though we had to connect to the platforms in places that had no fixed mounting points for the walkway. Thanks to favorable weather conditions and a maneuverable vessel, the operations went very well. There’s no doubt the operator saved a lot of time on the job we did for them, Melvær concludes.